CRU Chefs have crafted a menu to help you reminisce the special moments in your love story. A four-course dinner and optional wine pairing. $55 per guest for four courses. 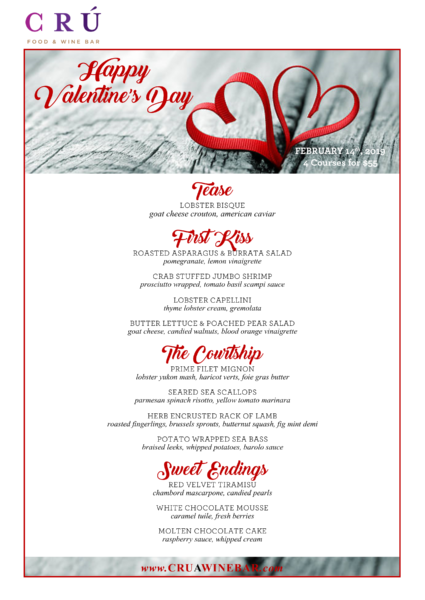 Special Chef's Valentine's features will also be offered on Friday the 15th and Saturday the 16th as well. Contact CRU to make reservations.